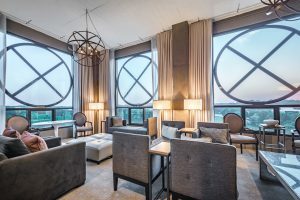 Recognized by many as the “greenest” hotel in America, Proximity Hotel leaves other properties green with envy thanks to its innovative design, which gives guests a sneak peek into the future, while honoring the rich history of Greensboro, N.C. 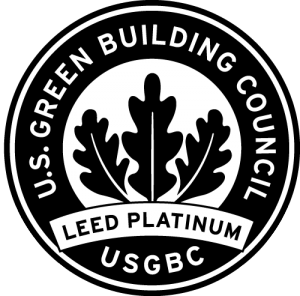 The AAA Four Diamond hotel was the first property to ever be certified LEED Platinum, meaning its construction, operation and design make it the highest performing “green” building. The 147-room property uses 40 percent less energy and 30 percent less water than a conventional hotel. Proximity’s commitment to saving energy is evident throughout the entire property during guests’ stay. Oversized windows in the contemporary style guest rooms offer natural light and fresh air, and guests enjoy their showers in hot water generated from the 100 solar panels on the roof. The hotel even offers free loaner bicycles, which allow guests to explore the lunch greenery surrounding the property. Visitors can enjoy the outdoor terrace with a flower garden nestled alongside a stream. Other amenities include an outdoor pool and a 24-hour complimentary fitness center. Proximity’s restaurant, Print Works Bistro has consistently been named one of Greensboro’s top restaurant. Diners rave about the weekend brunch featuring the signature PWB Benedict and popular duck confit hash. Sustainable practices can still be found while dining, the bistro’s bar is created from reclaimed walnut trees and room service trays are made of Plyboo (bamboo plywood). 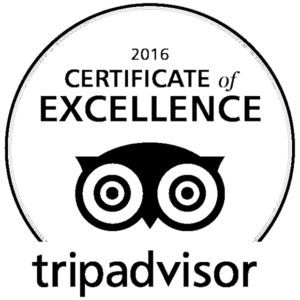 Located less than 10 miles fro Piedmont Triad International Airport, Proximity Hotel’s energy saving measures attract visitors from across the country. The unique and cutting edge property promotes conservation while spoiling guests with all the luxuries of a boutique hotel.